The suit was filed in response to a cease and desist Pinkerton Consulting & Investigations served to Rockstar and Take-Two in mid-December. Take-Two and Rockstar have "voluntarily dismissed" the lawsuit. According to GamesIndustry.biz, Take-Two and Pinkerton Consulting & Investigation have mutually withdrawn legal action. "Take-Two can confirm that the present day Pinkerton Consulting & Investigation company has withdrawn its claims against Red Dead Redemption 2, and Take-Two will not continue legal action against Pinkerton. Red Dead Redemption 2 is a work of fiction set in the late 1800s that references historical entities active during that time." Rockstar and Take-Two have filed suit in New York state against Pinkerton Consulting & Investigations and Pinkerton Service Corporation in reaction to a cease & desist that was served to Rockstar on December 13, 2018. Rockstar, it would seem, is eager to clap back against the longstanding American detective agency (now also a private security guard firm), as Pinkerton has taken exception to the use of the Pinkerton badge in Rockstar's award-winning (though plodding) magnum opus, Red Dead Redemption 2. The document, embedded below, details how references to the Pinkertons span relatively few storylines in Red Dead Redemption 2 (10, according to Rockstar) and how said references throughout the game are protected under the First Amendment. "[Rockstar's] references to 'Pinkerton Detective Agency' and 'Pinkerton' in Red Dead 2 are protected by the First Amendment and do not infringe any rights held by [Pinkertons]," the legal brief states. "The Pinkerton National Detective Agency is part of the history of America. Creative works about the American West are permitted as a matter of law to include such real historical events, figures, and businesses." Pinkerton didn't just issue a cease & desist in December, according to Rockstar. They straight up demanded that a licensing agreement be met and that royalties be paid to Pinkerton any time the game made mention of the historical detective agency (or used the Pinkerton badge) in Red Dead Redemption 2, not necessarily making mention of the series in general. "[Pinkertons] specifically allege that 'the Pinkerton National Detective Agency is widely used including the Andrew Milton and Edgar Ross characters,' which it alleges 'creates the false impression that the game originates from [Pinkertons] or that [Pinkertons are] somehow connected to or associated with Rockstar Games in a way that deceives customers or causes confusion or mistake.'" That doesn't necessarily mean that Pinkerton has much of a case. Mona Ibrahim, Senior Associate at Interactive Entertainment Law Group, told GameDaily that Pinkerton might be fighting a losing battle, though it will depend on the judge. "From my perspective, I think the lack of likelihood of confusion, plus historical relevance, plus the fair comment aspect of this (they weren’t using the name to reference a fictional agency, after all, they were referencing the actual agency), I don’t think Pinkerton has much of a case," Ibrahim said. "But some judges have very little knowledge or understanding of trademark issues. While I’d ordinarily say this will probably settle, Take-Two is pretty aggressive and isn’t known to back off once they’ve opted to litigate, so this could get interesting." 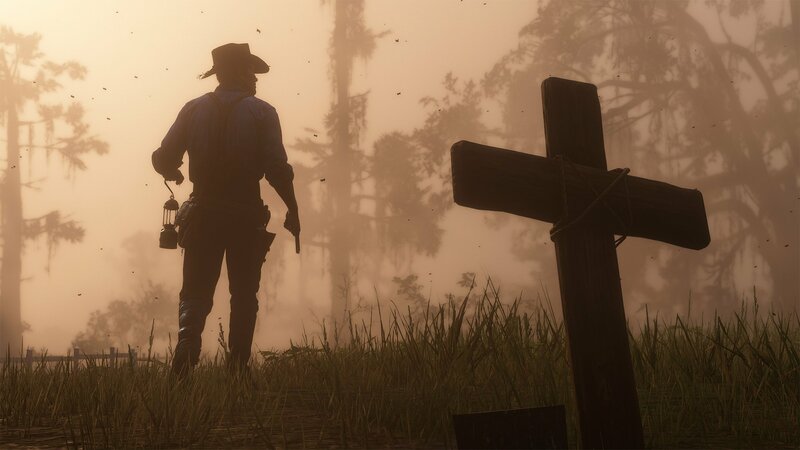 Rockstar alleges in the brief that Pinkerton is looking to make a quick buck off of the game's success, but we're not so sure about that. The Pinkertons have been notoriously heavy-handed in licensing their image to creators, even if it's only to clean up what was a pretty shady past (especially with regards to union busting). On the other hand, they are mentioned in a number of different fictionalized settings, including 3:10 to Yuma with Christian Bale and Russell Crowe, Deadwood, Elton John’s "Ballad of a Well-Known Gun," and the book series, The Pinkerton Detective Series. Ibrahim noted in her conversation with GameDaily that if these other Pinkerton references weren't licensed, they might be in for a bit of an uphill battle to prove why RDR2 is the exception and not the rule. "[It] depends on whether the prior uses were based on a license or not," Ibrahim told us. "It’s a sliding scale—the more you work to protect your mark, the higher the likelihood that you’ll be able to continue defending it. The less you protect it, the higher the likelihood you’ll lose it. So if they granted licenses or had some involvement with prior uses (to maintain the quality/reputation of the good/services associated with the Pinkerton brand), the court will likely see those uses in favor of the defendant, who has diligently protected their mark for such uses. Whereas if no licenses were issued in connection with those marks, it will weaken Pinkerton’s claim." "Of course, and not surprisingly, [Pinkertons are] prepared to protect its legal rights and Assets," a response from the Pinkertons (on January 4, 2019) reads. "It can do so through legal action or through discussions leading to an appropriate licensing agreement." 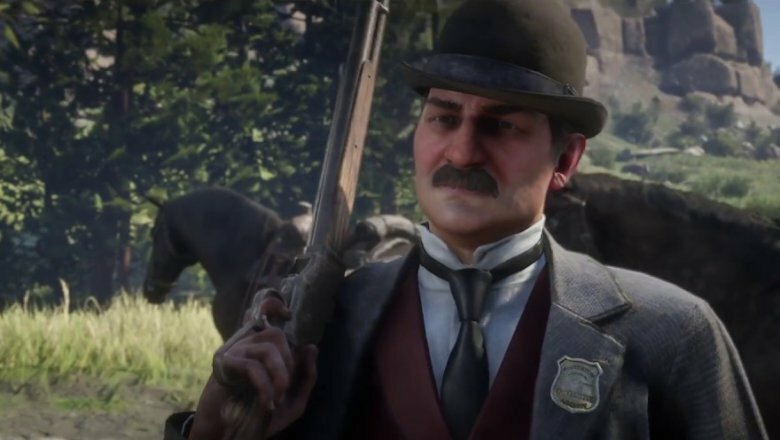 Rockstar is looking for its legal fees to be recompensed and for the court to rule that any reference to the Pinkertons or usage of the Pinkerton badge is protected under the First Amendment. "[Rockstar's] references to the Pinkerton Detective Agency and the Historical Pinkerton Badge only appear in the context of the video game. [Rockstar's] packaging and trailers for Red Dead 2 do not reference [Pinkertons] or Pinkerton National Detective Agency, nor do they suggest [Pinkertons'] sponsorship or affiliation of Red Dead 2," Rockstar noted in its Claim For Relief. We've talked about licensing and copyright a number of times on GameDaily, most notably with regards to social dance, choreography, and the lawsuits being brought against Epic Games through Fortnite's emotes. But what makes this particular case interesting is that it's about trademark (denoting a recognizable brand or logomark) and branding, rather than copyrighted/protected material. "Trademark may not be the only claim [Pinkerton] raises in its counterclaim," Ibrahim warned. "It's worth noting that 'right of publicity' (typically a state claim) based on historical figures may be a point of contention as well, although the defenses available to Take-Two [and] Rockstar will be similar in either a trademark or 'right of publicity' action." Pinkerton is alleging that their mark and references to their organization during that time will confuse people about whether or not Pinkerton is associated or affiliated with Red Dead Redemption 2 or the characters portrayed therein. Rockstar has countered that even if that's the case, RDR2 is considered a work of fiction under the First Amendment and is protected under the law. For more stories like this one delivered straight to your inbox, please subscribe to the GameDailyBiz Digest! 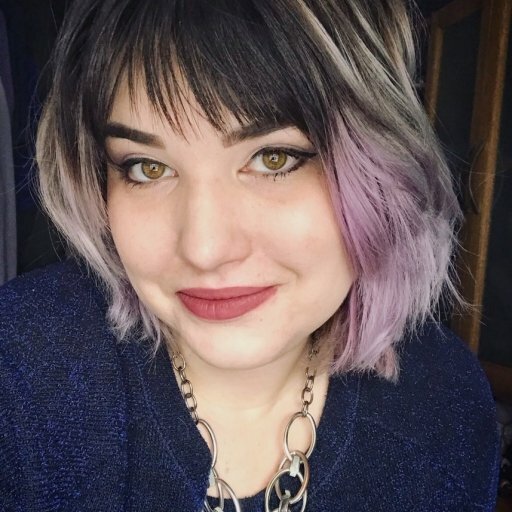 Amanda has been meandering around the game journosphere since 2010, mostly covering indie games, culture, and industry news. These days, she talks about the business of making games through a critical cultural lens. She adores RPGs, weird narrative indie games, and strategy games that take forever to learn. Amanda is also the editor-in-chief of SuperParent. You can find her on Twitter as @AmandaFarough or you can email her at amanda.farough@gamedaily.biz. Newzoo's 2018 update to its top 25 public games companies was unveiled on Wednesday, with Tencent and Sony leading the list. Google and Apple also showed impressive growth, suggesting the two will grow as major players in the gaming industry as 2019 continues. Unions aren't necessarily the single brush-stroke that will fix the game industry's problems, but the three founders of the Glory Society are adamant that a co-op studio structure is definitely worth embracing. Following the BGA Blockchain Games Day Mixer at GDC and a convention earlier this week in Paris, France, the BGA is encouraging blockchain game developers to join this new alliance. Also announced was a subscription bundle marrying Xbox Game Pass and Xbox Live Gold.